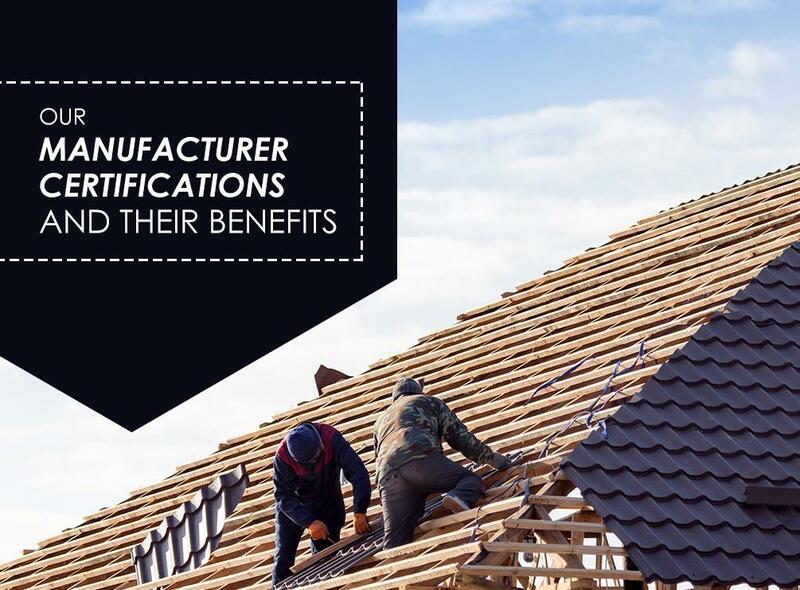 Manufacturer certifications are a badge of honor among replacement window, roofing, and siding contractors. At Peak Roofing Contractors, we are proud of our certifications; more than just the prestige, ours guarantee you will only get the best products, warranties, and service. Let us share with you some of the industry leaders who trust us to represent their products. Few can argue against the GAF Master Elite™ certification is the most prestigious certification among roofing contractors. The fact that only 3% of all roofing contractors across North America have earned this designation, ourselves among them, signifies its stringent requirements. More importantly, though, our clients gain access to GAF’s exclusive products and warranties, including their Golden Pledge® Limited Warranty. CertainTeed is another roofing manufacturer known for its high-quality roofing materials, including their Integrity Roof System and SureStart extended warranty coverage. We’re proud to have received our CertainTeed Shinglemaster™ certification in 2008. Additionally, we are also certified by roofing manufacturers Owens Corning and Tamko. We aim to provide more than just the best roofing, so we made it a point to include fenestration, gutters, and siding to our services. When it comes to siding, few come close to James Hardie’s pioneering fiber cement siding and their innovative ColorPlus® and HardieZone® technologies. Being a certified James Hardie siding contractor lets us provide great siding products and exceptional warranties to our clients. We are also certified by Velux® and Atrium®, manufacturers of beautiful and energy-efficient skylights and sun tunnels, and replacement windows and entry doors, respectively. Ultimately, you, our clients, benefit the most from these certifications. Apart from quality materials, expect only experts working on your home. Every manufacturer requires their certified contractors to undergo factory training; some companies like GAF even require continuous training to ensure that their certified contractors’ skills and product knowledge are up-to-date. Furthermore, contractors all comply with licensing and insurance requirements. You have the confidence that each installation will be problem-free. Peak Roofing Contractors, Inc. serves Manassas, VA and nearby areas. From roofing to handyman services, you can rely on us. Call us today at (703) 745-5153 or fill out our contact form for your free, no-pressure written estimate.